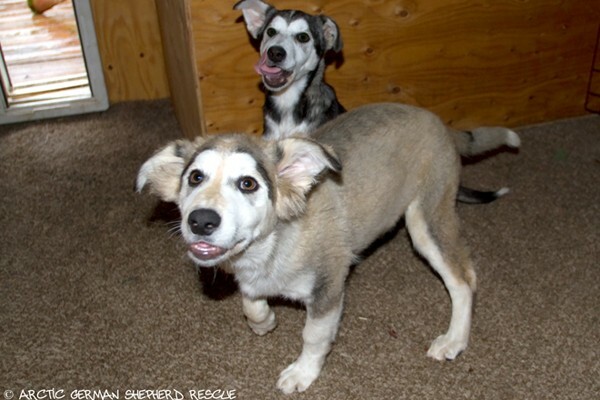 Faith and Fats are Husky-Malamute mix puppies who came to rescue from a remote village in August 2015. 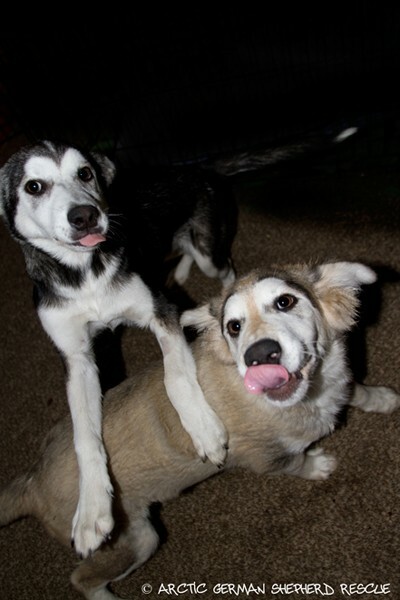 Siblings from the same litter, they were infected with Parvo, which we did not know when they came to us. 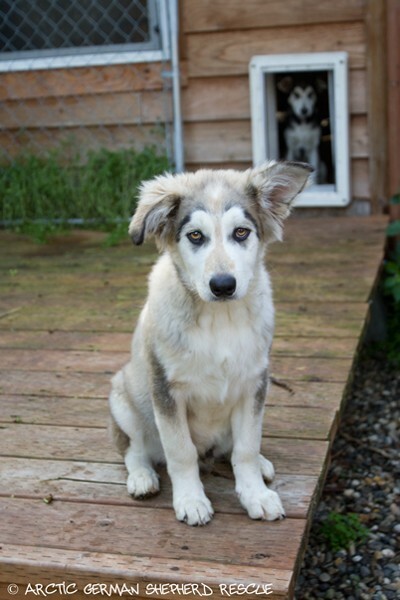 Parvovirus is a highly contagious viral disease that can produce a life-threatening illness in dogs. 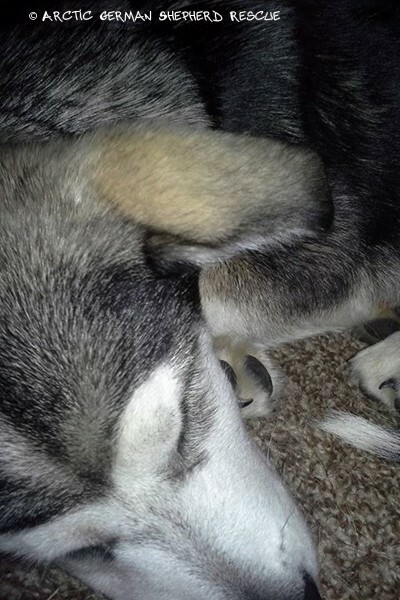 The virus attacks rapidly dividing cells in a dog's body, most severely affecting the intestinal tract which can cause severe vomiting and bloody, foul-smelling diarrhea that can lead to life-threatening dehydration. Parvovirus also attacks the white blood cells, and when young animals are infected, the virus can damage the heart muscle and cause lifelong cardiac problems. The puppies were immediately isolated at the first signs of illness because even the though the other dogs are vaccinated, it is still a concern should a new unvaccinated dog come to the rescue. 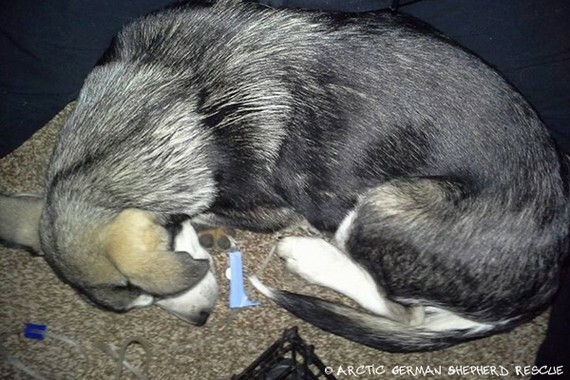 Infected dogs can shed the virus for up to six months, so the puppies were kept separated from the other dogs. Faith got very ill and required IV fluids, but both recovered with no residual problems and were adopted. 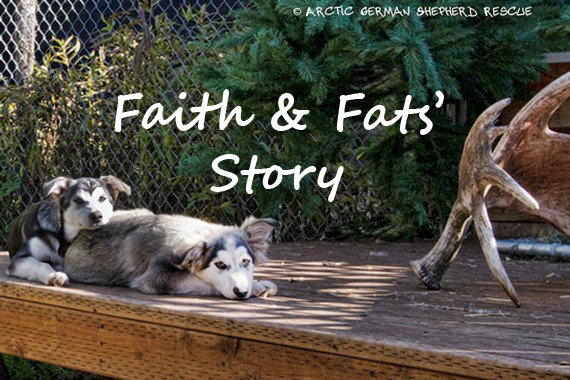 Faith and Fats came to the rescue in August 2015 from a remote Alaskan village. 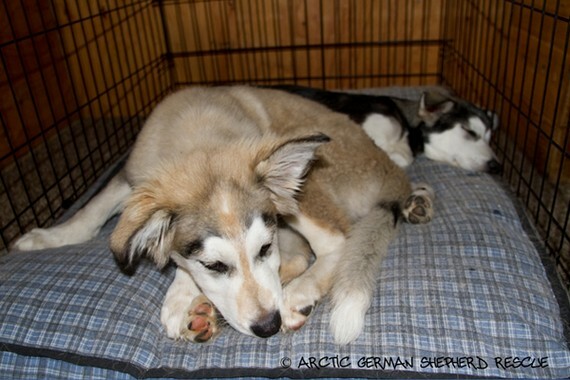 Faith and Fats became ill and were diagnosed with Parvo, so to prevent any spread of illness they were isolated from the other dogs. 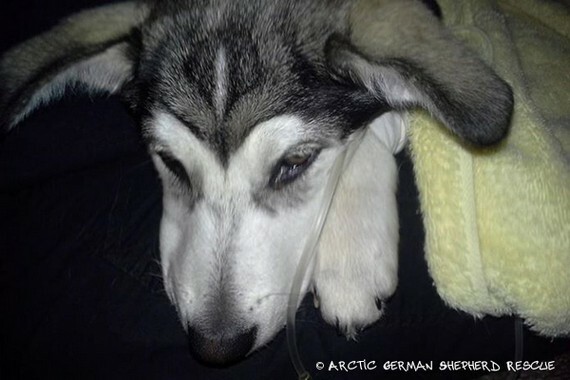 Faith became very ill and was unable to eat or drink, so she received IV fluids to prevent dehydration and electrolyte imbalance. 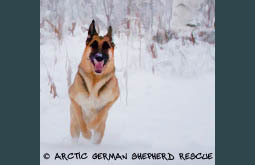 For a while, we were worried that Faith wouldn't survive, but she proved to be a tough little cookie. 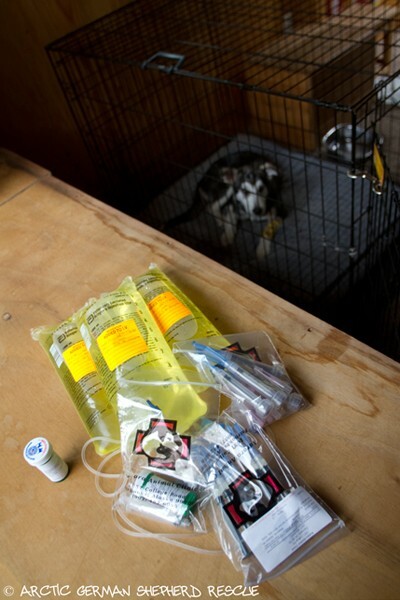 Faith continued to receive IV fluids at the rescue as outpatient therapy. We hoped, prayed and waited as Faith fought to survive. Faith and Fats turned the corner and both began eating and drinking on their own. 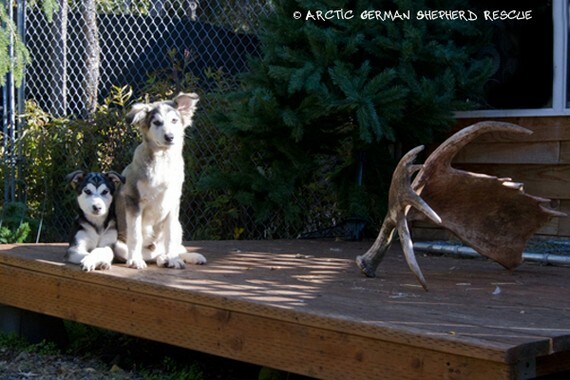 Faith and Fats back to normal with full puppy energy! Fats kept close watch over Faith while she was sick. Faith and Fats outside - Faith getting some fresh air and feeling better every day.